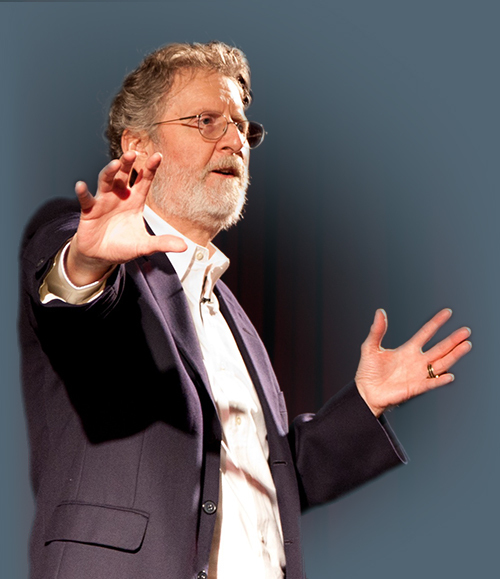 Michael Hauge grew up in Oregon, earned himself a Master’s degree and worked as a teacher. However, he had always secretly dreamed of working and living in Hollywood. After three years of being a teacher, Michael decided that he either had to give his Hollywood dream a shot or to stop dreaming about it. So he moved to Hollywood and studied at a film school. Along with classes such as filmmaking and screenwriting, he took story analysis. This taught him to analyze a script and turn it into a one-page synopsis. And so his first job working in film was reading awful screenplays and summarizing them for studios and producers. But that earned him a full-time job in Hollywood after he was spotted. He then started to teach writing screenplays from the point of view of the person receiving them. It wasn’t long before he started to take his seminars all over the world and stopped working for production companies. More than 20 years ago, in 1988, he published his book Writing Screenplays That Sell, which is still today a mainstay on the bookshelves of people everywhere. Many aspects of business today also rely on a good story to help them to connect emotionally with customers and make sales. 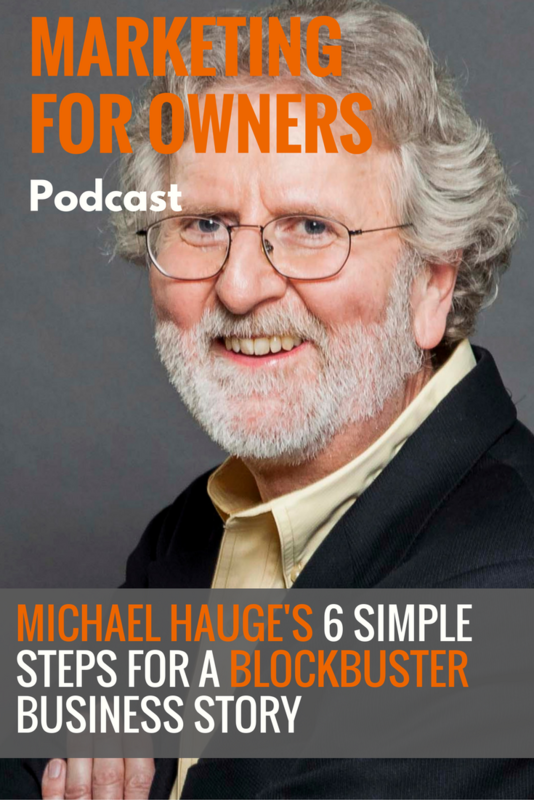 And Michael has some great tips for helping you do just that in your own business. For many years now, Michael has been a consultant on many film scripts, but he has also expanded to help lots of people tell engaging stories. He realized that the principles remain the same wherever you’re trying to tell a story. So he has since been helping novelists, internet marketers, corporate businesses, sales teams and public speakers. In fact, anyone who is not a professional storyteller but wants to use stories as a way of getting people to take action, hire them or make a sale. Humans are notorious storytellers. Wherever you go in our history, we’ve always been sharing tales. This is something we instinctively react to, and which we’re all capable of doing. You don’t have to be a writer to tell a good story. Michael’s talent lies more with helping others to develop and grow their ideas, rather than writing stories himself. But he does have a deep understanding of the structure of a good story. And when you make sure the stories you tell tick every box in his formula, you know you’ve got something good. The story is used to move people to emotion and to persuade them. So in a sales environment, you may well use a story to explain what you have to offer. Doing so in this context gives them an emotional reaction. It helps the listener to identify themselves as a user of the product or service. And after all, it is far easier to tell a story than using data and instructions. And the relationships you create with customers and clients will last far longer. Your stories may not ever get turned into a Hollywood blockbuster, but it will help you to connect with other people in a way more powerful than you might expect. Practically every movie you’ve ever watched will follow the same formula in terms of the story it tells. The story arch takes you on a journey full of trials and tribulations, taking the main protagonist from one state of being to another. Well, Michael has taken this structure and simplified it so that non-storytellers can use the exact same methods in their own storytelling. It consists of six simple steps, regardless of the context or medium. And through it all, you have a hero (the main character) who goes through the process to create a relatable emotional experience. You start the story by introducing the hero who is the person we will follow and connect with as the story goes on. What is their everyday life like, before anything extraordinary happens? Perhaps this is the story of a client you’ve worked with in the past. And they have a problem, or found themselves in a situation, which other people listening to the story will be able to empathize with. The hero then finds themselves in crisis. He or she has been stuck, but now something has happened and they have no option but to take action. That person had to make some important decisions, and they led them to you. Then, they hired you or purchased your product, in order to solve this problem. Now, they are taking action to achieve their goal. How did you help? This is where you give the customer an idea of what it is like to work with you. Things are working. But you need to have a clear idea of what the desires are of the hero, as this is what provides the motivation for the story to progress. A clear objective, and one which is similar to what your customer wants to achieve themselves. You’re roughly halfway through and things start becoming tougher than anticipated. What obstacles have they come up against in their journey? But importantly, how did you help the hero to overcome them? This creates an emotional link between the person in the story and the person listening. But it a very important stage, as it stops your product or service from sounding like it is too good to be true. It becomes believable and you accept life is never as simple as we want it to be. When you think about your own favorite movies, the moments of conflict are the ones you remember most, and this is what hooks you further into the story. This is the moment when the goal is achieved. They’ve reached the finish line and they have succeeded at doing what they set out to do, thanks to your help. Their problems have been resolved. How did success look for the hero of the story now that the journey has been completed? They are now in a position better than they started, and it is a similar place to where your customers hope to be themselves. This is when the listener of the story becomes emotionally satisfied and they have a smile on their face. Telling a story about someone who went through all those stages, will create an emotional response for the listener. Plus it helps them to get a taste of what working with you is like, and it moves them closer to making a decision to go on a similar journey with you. When you decipher movies for yourself, it helps you to reinforce these good storytelling principles. And Michael suggests watching your three favorite movies (a good excuse if I ever heard one), and then see what they all had in common. Regardless of their genre, they are likely to all use this formula. And when you see something used consistently, again and again, you know it is a good idea to include them in your own stories too. It’s also helpful to watch the TED talks because you’ll realize that they too use these steps when they tell stories, whether they’re about themselves or other people. When your stories use every element of this story structure, they are going to be much better and be more successful. Of course, it hopefully isn’t going to be a 90-minute long story, as that’s unlikely to have a very high level of conversion. In reality, a good sales story isn’t going to take five minutes. But it will work when it goes through every step, in that order. You then inspire them to want to follow in the footsteps of the hero in your story. That’s because, on a physiological level, they were the hero of the story who achieved everything they wanted. 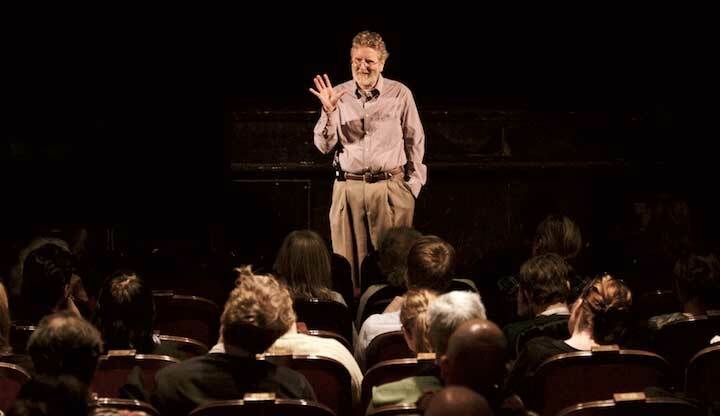 On Michael Hauge’s website, he uses a lot of examples based on movies and TV to help you further understand his six-stage structure. From there you can also find out more information about his training courses. Michael has also been helpful enough to create a mind map, just for you, which will take you through the six steps he discussed in his interview. At storymastery.com, you’ll also be able to sign up for his newsletter which is always full of useful storytelling tips. In January 2017, Michael also hopes to launch his latest eBook Storytelling Made Easy. This will further expand on the points he discussed with us, as well as detailing more Hollywood tricks you can use in your storytelling. So you’ll want to be on his mailing list to be the first to find out when it’s available.